Science is always surprising us, with new discoveries reminding us how much we still have to learn. Recently, a new feature of the northern lights was discovered, thanks to a group of citizen scientists. 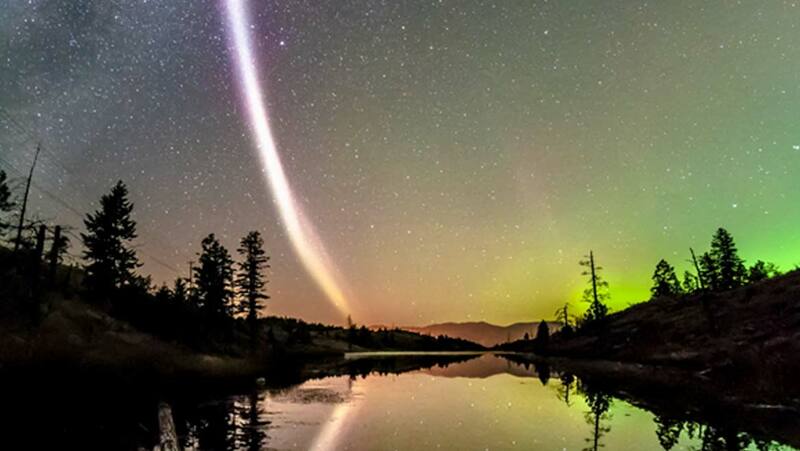 A Facebook group called the Alberta Aurora Chasers, dedicated to studying and observing the northern lights, discussed a strange new feature of the aurora that many of them had observed and named it, endearingly, Steve. Along with another Facebook group and website, the Aurorasaurus, the Alberta Aurora Chasers met with Professor Eric Donovan from the University of Calgary. Donovan has been studying the aurora for 20 years, but he hadn’t ever before seen the phenomena known as Steve. Initially, the name Steve was chosen because of the children’s movie ‘Over the Hedge’ where a character gives the name Steve to something they can hear on the other side of the hedge, but don’t know what it is. In the aurora, Steve appears as a thin arc of pink or purple light, quite distinct from the flowing green curtains more commonly associated with the aurora. The citizen scientist communities became very adept at capturing photographs and videos of Steve, with over 50 reports during 2016 but wanted to find out more about its formation and possible causes. So, in order to try and discover more about the mysterious Steve, Donovan and the citizen scientists joined forces in order to observe Steve more closely. They matched an image taken from the ground to data collected by a Swarm satellite from the European Space Agency as it flew through the same location. The discovery of what may cause Steve to form just wouldn’t have been possible just a few years ago. Back in 1997 there was only one all-sky imager in America which was dedicated to making observations of the aurora borealis. With the advent of many individuals now taking their own images and sharing them with online communities, the number of observations has sky-rocketed with far higher chances of being able to match these up with data from satellites. So, thanks to the combined efforts of dedicated citizen scientists and researchers at universities, we can all find out more about the enigmatic Steve and increase our understanding of this natural wonder.